Custom made Valentines Day cards for your kids for school. Looking for something specific send me a message. You will need Adobe Reader installed on your computer to open and print the file. Each sheet can be printed as many times as you like. *If you purchase the download and have any difficulty trying to print your file, feel free to send me a message. 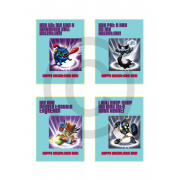 I cannot be responsible for print quality, as all printers and monitors are different. Custom made Valentines Day cards for your kids for school. Looking for something specific send me a message. 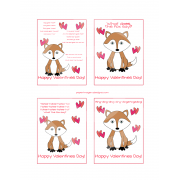 Each page prints out an 8.5x11 with 4 Valentines Days cards at 3x4" each. You will need Adobe Reader installed on your computer to open and print the file. ..
Because Girls like LEGOS too! Custom made Valentines Day cards for your kids for school. Looking for something specific send me a message. 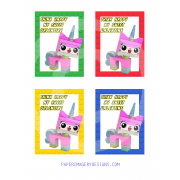 Each page prints out an 8.5x11 with 4 Valentines Days cards at 3x4" each. You will need Adobe Reader installed on your computer .. 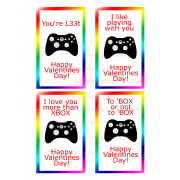 Custom made Valentines Day cards for your kids for school. Looking for something specific send me a message. 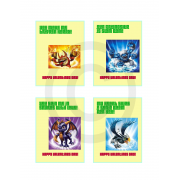 Each page prints out an 8.5x11 with 4 Valentines Days cards at 5x3" each. You will need Adobe Reader installed on your computer to open and print the file. ..